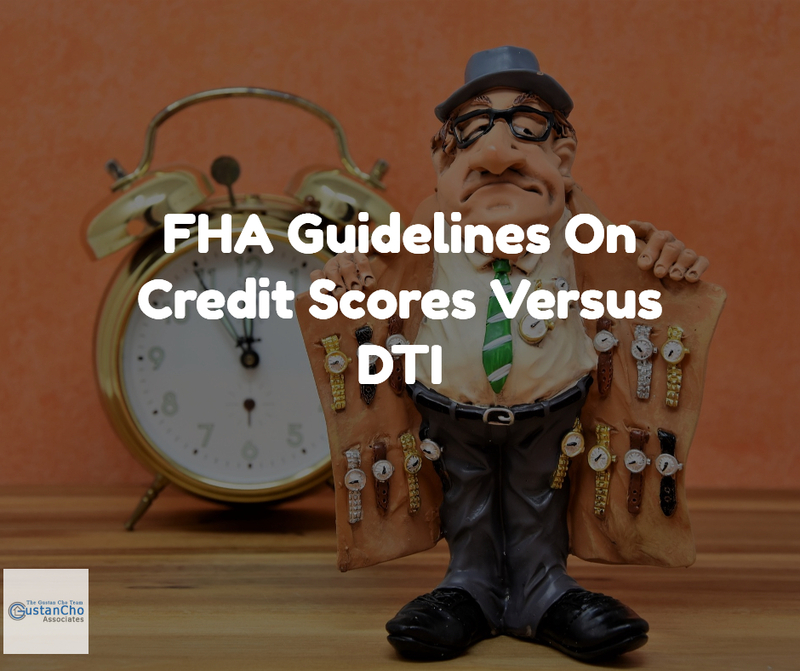 FHA Guidelines On Credit Scores Versus DTI are specific. Credit Scores And DTI are important when qualifying for FHA Loans for borrowers with higher debt to income ratios and lower credit scores. Borrowers with lower credit scores and higher debt to income ratios and need a lender with no lender overlays on FHA Loans, please contact us at 262-716-8151 or text us for faster response. Or email us at gcho@loancabin.com. Our team and I are available 7 days a week, evenings, weekends, and holidays to take calls and answer any questions. If you are married and have a non-working spouse, there is no reason for the non-working spouse to be on the FHA Loan. Lets take a case scenario on John Smith and Mary Smith. Lets say that John Smith and Mary Smith are married but Mary Smith income is not necessary because John Smith makes enough money for their new home purchase with a FHA Loan. Again, on the above case scenario, it is best not to use Mary Smith as a co-borrower if John Smith qualifies on his own. Mary Smith and John Smith can both be on title but why add Mary Smith on to the FHA Loan if she does not need to be on the loan. Again, both John Smith and Mary Smith can be on title.